I found mine on Amazon and am really happy with it. It was pricey but well worth the splurge...as long as I don't break it. I decided to keep my brushes in one of the drawers instead of the container on top. I wish I had a better "before" picture of how I attempted to organize my makeup but I was too excited to unpack and get the new one setup. I had makeup in several different bags, drawers, containers and baskets. I feel like I have all this new makeup now that I can see everything I own. Just like clothes or jewelry, if I don't see it or have easy access to it I won't wear it. Another reason to justify the price tag. 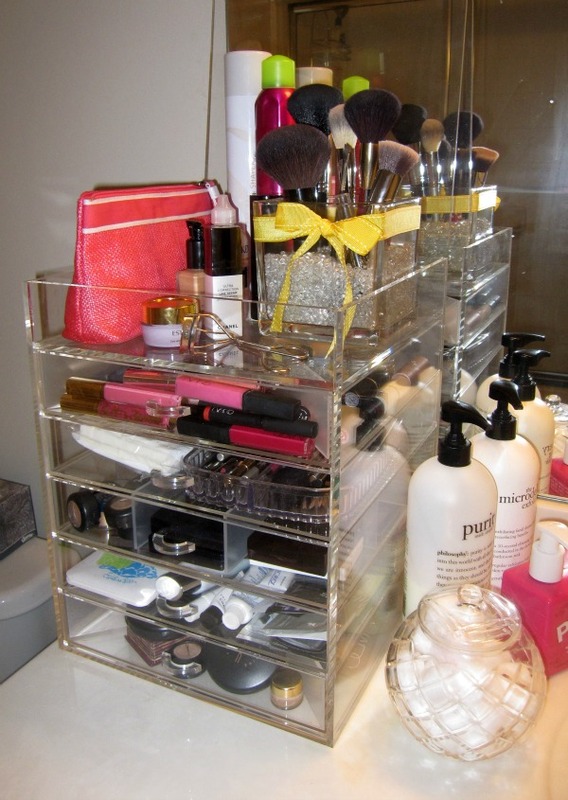 I read that Emily Maynard uses these clear shoe organizers from the Container Store on her counter, an affordable alternative. It looks like she has combined a few sizes. 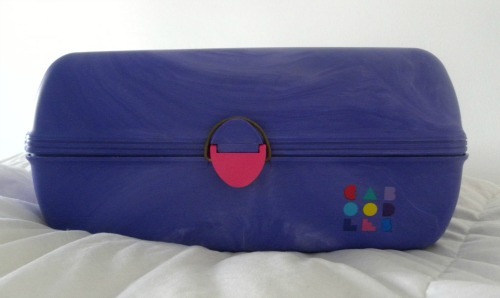 Throwback... who had a Caboodle back in the 90's? Did you bring it to overnight camp? Ha! I still have this exact one (with my name in huge scripty letters across it) in my closet at my parent's house. The Caboodle! Stop it. DEFINITELLYYYY had one of those. Wow, looking back you would think they would have at least tried to make it look less like a tackle box ?? Caboodles! I had got mine for Christmas one year. 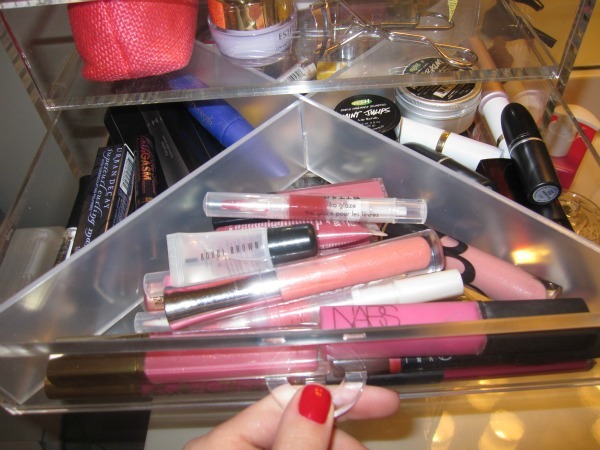 You are so smart to use a clear organizer for your makeup. I bet it will save you from buying duplicates because you are looking at everything you have every time you apply your makeup. That's such a great idea!!!!! OMG totally inspired to organize my bathroom now. I totally had a caboodle. Barbie pink! Ha! That is great organization. Yes I still have my old caboodle at the parents too. Omg, I totally forgot about Caboodles! I had a pink one! Oh wow, I think I need this for my bathroom because I definitely have way too much makeup. Great idea! I had that same Caboodle! Love your new makeup organizer. Ahh yes, I had a caboodle. I was so proud :) Love all the orgnization! I also like that you can see the makeup so you know what you have to work with! That first organizer is expensive! I think I may buy some clear shoe organizers. How do you like the organizer? Is the quality still good a year later? I have had to glue some of the handles back on, but still love having it.